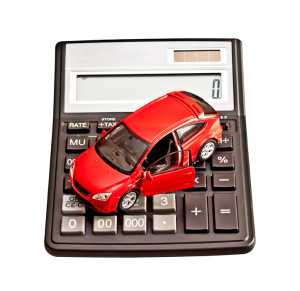 Are you spending more on your car than you should be? Though it may be hard to believe, investing in regular preventative maintenance can help save you money in the long run by improving your fuel economy, allowing you to drive your vehicle longer, and help you avoid expensive repairs. In some cases, failing to maintain your car can also affect its mechanical integrity and lead to an accident with costs to repair the damage and pay increased insurance premiums. Any injuries as a result of the accident can also take their toll on your wallet if they require special treatment like physiotherapy or limit your ability to work. 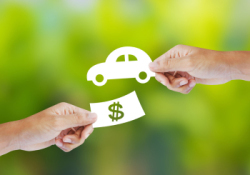 Today’s vehicle manufacturers are pushing the limits to continually produce more economical, environmentally friendly and technologically advanced vehicles. Listen to the radio or flip on the TV and you’ll see how each new model has better features and is more fuel efficient than the competition, including its own older model. You may be surprised to know that this isn’t all marketing fluff; due to increasingly stringent emissions standards, today’s vehicles are indeed more fuel efficient than ever before. But this is only the case when they are maintained to the manufacturer’s standards. Check your tire pressure – Under-inflated tires increase rolling resistance, which forces your engine to work harder and burns more fuel. By maintaining your tire pressure at the recommended level, you’ll help maximize your fuel economy. Use the right tires – Use the type and size of tire recommended by your manufacturer for optimal performance. The wrong tires can increase your fuel consumption and will likely wear more quickly. Use the recommended grade of motor oil – Motor oil comes in different grades and formulations. Thicker oil is harder to pump, so using the right motor oil for your car can improve your fuel economy by one to two per cent. Have your engine tuned – Though engine tune-ups have changed along with vehicle technology, they can still improve your gas mileage by up to four per cent. Replace your oxygen sensor – Check your owner’s manual for the oxygen sensor’s replacement interval. Fresh oxygen sensors can improve fuel economy by as much as 10 to 15 per cent and can save you an average of $100 per year on fuel by ensuring optimal engine performance. Check your battery – Corroded battery cables force your alternator to work harder and your car to burn more fuel. Have your battery checked at least once per year to ensure that the connections are tight and corrosion free. Fill up with the right octane – Your owner’s manual should outline the octane of gas that is best you’re your car. Don’t buy premium gas unless your manufacturer recommends it. Similarly, if your owner’s manual indicates that you should use higher-octane gasoline, pay the premium price for premium gas. Pay attention to your check engine light – Your dashboard indicators provide you with important information about your vehicle, including its fuel economy. If your check engine light is illuminated, bring your car in to have it checked out by a technician. Replace your air filters – Your car is equipped with a variety of air filters to prevent contamination of important vehicle systems. Replacing these air filters as recommended by the manufacturer can save you up to 10 per cent on fuel. Check your gas cap – A missing or cracked gas cap will allow gasoline vapours to escape from your tank. Have your suspension and chassis inspected – In addition to affecting your safety, misaligned or damaged parts can create drag that increases your fuel consumption. Have your car inspected – A regular inspection in the spring and the fall can help you identify other problems that may be affecting your car’s performance, such as misfiring spark plugs, sagging belts, worn brakes or transmission problems. The average Canadian vehicle is 9.3-years-old and is retired after 320,000 kilometers – how does your car compare? Over time a car’s parts start to wear or fail and it requires a little more TLC to keep it running efficiently and safely, but regular maintenance can help you put off the expense of a new car by extending the life of your vehicle. Your car’s various fluids lubricate and protect critical parts and systems including your brakes, power steering, and transmission. By replacing contaminated fluids and maintaining proper fluid levels, you are ensuring these parts and systems are properly lubricated so that they can work efficiently. This helps extend their life and the overall life of your car. Most newer cars have interference engines, which rely on the timing belt to prevent their pistons and valves from colliding. Over time, your timing belt will weaken and wear, and it may eventually break, leading to serious engine damage or engine failure. To proactively avoid these major problems follow the timing belt replacement schedule in your owner’s manual. Worn shocks and struts can reduce your control, increase your stopping distance, wear and damage your tires, and cause a bumpier ride, all of which cause additional wear and tear on your car. By replacing your shocks and struts you can improve vehicle stability and maximize tire to road contact to keep you safe and protect the functioning of your car. Uneven wear of your tires or unbalanced wheels can cause added stress on your suspension. Tire rotations and regular tire checks can help you avoid major problems and keep your car running smoothly, longer. Spending a little on maintenance can go a long way toward preventing major damage that can leave you stranded and cost you a lot to repair. Replacing your engine comes with a hefty price tag. Severe engine damage can be caused by a number of things including: a broken timing belt, a failed fuel pump, a broken rod, a failed water pump, a broken alternator, a damaged valve, a ruptured radiator hose, or a broken engine thermostat. Your catalytic converter is the component of your exhaust system that reduces the amount of harmful pollutants in your exhaust. If it is damaged or fails, it’s likely because you’ve ignored another problem under your hood. Catalytic converter damage can be caused by oil, coolant, or excessive fuel entering the exhaust system; a poorly tuned engine; misfiring or failed spark plugs; or a faulty oxygen sensor. Replacing your catalytic converter will cost you, as will fixing the problem that caused its failure in the first place. Over time your brake pads (disc brakes) or shoes (drum brakes) wear out from friction and need to be replaced. It’s important to avoid getting to the metal-to-metal point, which can severely damage your rotors or drums and lead to an expensive repair bill. Your driving habits and the quality of your brake pads or shoes can affect how quickly they wear out. Wear and tear on your transmission can be affected by your driving habits, towing excessive loads, your car’s operating conditions, the condition of your transmission fluid and the frequency of transmission maintenance. In cars with automatic transmissions, the most common causes of transmission failure are problems with the transmission fluids. Some vehicles don’t use transmission fluid however, and other types don’t have a dipstick. A certified service technician should perform this maintenance.